We cater for the needs of aero-modellers in South Lincolnshire and North Cambridgeshire area. The club flying site is available for the use of Club Members & invited guests 7 days a week. We fly fixed wing power, Silent flight and helicopters/multicopters(IC. Electric, Gas ) models. Training is available for beginners, All the instructors are volunteers and so not paid for their time. 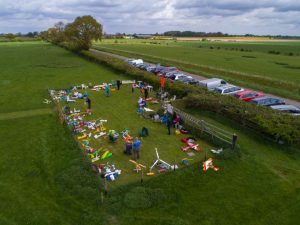 The Aims of the Club To provide facilities for the sport of model aircraft construction and flying To assist members to improve their standards of building and flying and to require strict observance of all rules in the interests of safety. We are affiliated to the British Model Flying Association.